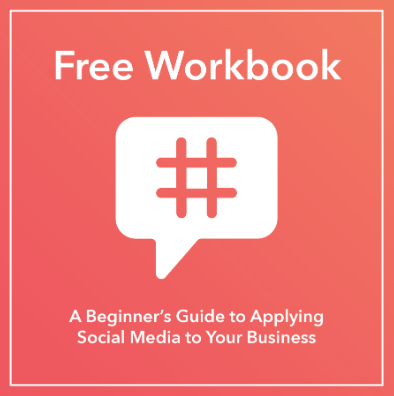 Everything you need to know about reaching your target audience, increasing website traffic, and driving sales with social media marketing campaigns. Transform your approach to social media marketing. Every month, there are over two billion active users on Facebook, one billion on Instagram, and 365 million on Twitter worldwide. In the U.S. alone, 77% of the population has a social media account of some kind. Whether it’s to chat with friends, stay connected to people across the globe, or for business and networking purposes, consumers are on social media for a multitude of reasons — and marketers know it. Due to the sheer number of active users on these platforms, marketers are quickly learning about the importance of targeting their customers through social media. In fact, investments in social media advertising across the world are projected to grow to about 48 billion U.S. dollars by 2021. With so many people checking their smartphone notifications and social media feeds while traveling, commuting, and even relaxing, what better way to market than on social media? Social media advertising reaches audiences in a low-cost, impactful, and effective way. This is exactly why social media campaigns have become a crucial marketing technique for businesses everywhere. With billions of people on social platforms — and continued growth in monthly users and influence — it’s hard to imagine how businesses could remain relevant without creating a social media presence. Using social media will allow you to reach your target audience, engage with current and potential customers, create brand loyalty, increase website traffic, and drive sales. Marketing on social is not just a trend, it’s a powerful industry technique that is here to stay and will help you reach more people all over the world. What Is a Social Media Marketing Campaign? A social media campaign is a business’s coordinated marketing effort to reinforce information (about a brand, product, or service) using at least one social media platform. These campaigns are strategically focused, have measurable outcomes, and influence social media followers to feel or act in a certain way. When creating a social media marketing campaign, you should keep specific goals in mind to ensure your work is as effective as possible. Here are some goals to consider and examples of companies that executed them well. Your business can improve brand awareness through social media by posting your campaigns on a variety of platforms. You can also use specific hashtags and provide followers with incentives for sharing your content and tagging their friends. Improving your brand awareness through social doesn’t need to take a lot of time either. In fact, 91% of marketers said they noticed an increase in their brand visibility by only spending a few hours per week on social media. Once you have a plan for your campaign, you will be able to map out exactly where and when it should be posted to keep things efficient. A great example of using social media marketing to raise brand awareness is Apple’s “Shot On iPhone” campaign. Apple’s impressive iPhone cameras allow their 90 million+ users to take pictures that look like they were taken with professional cameras. Taking beautiful pictures has also become increasingly important for social media users over the years, especially with photo-focused platforms such as Instagram. Apple decided to mesh these ideas together and launch the “Shot On iPhone” campaign which features iPhone photos taken by customers. Users take pictures with their iPhones, post them to social (typically on Instagram in this case), and use the campaign’s hashtag, #shotoniphone, which has been tagged in over 4.3 million posts thus far. Apple shares select photos on their Instagram page to their 6.8 million followers and gives participants a chance to have their photo on a billboard. Apple’s social media marketing campaign increases brand awareness through their Instagram page, hashtag, and the requirement that people share their photos with their own followers. Apple started the campaign, but iPhone users are the people doing the hard work. Through this campaign, the company builds a feed of the most beautiful and unique pictures that also serve as a way to improve brand awareness and market the iPhone camera feature. Connecting with your audience is important in all types of marketing. In a world with growing distractions and diminishing patience, effective marketing tactics are more important than ever. The good news is that social media has made it easier to connect with potential customers anywhere around the world. When working on a social media marketing campaign, you want to connect with your audience both on a surface level — through a follow, comment, or a “like” — and on a deeper level — through a relatable post that gets them feeling a certain way about your brand or products. Coca-Cola’s ”Share a Coke” social media campaign successfully connects the company with their audience on a deeper level. By selling bottles of Coke with people’s names on them, Coca-Cola personalizes the buying experience which gets customers excited about purchasing and sharing the bottles. Whether it’s their own name or the name of a family member, friend, or co-worker, customers feel a connection to these bottles of Coke. Some of the bottles even have stickers on them that customers can peel off and wear as a name tag or give to someone else. Coca-Cola made the campaign even more relatable by creating labels with multiple different spellings of names and including less-common names. Customers can also personalize their own bottle on the company’s website for $5. The company found a way to engage with everyone through this campaign. Coca-Cola also promoted a hashtag, #shareacoke, so social media users can share their pictures and videos with friends and followers. Since the campaign has gone viral, the hashtag has been used on millions of Twitter and Instagram posts. And for those who want to share a Coke, or post a picture about their own experience, there are links to more information about the campaign in the bio section of Coca-Cola’s social profiles. The “Share a Coke” campaign gets people excited about a personalized bottle of Coke and makes customers feel connected to the brand on a deeper level. In turn, millions have been motivated to share pictures, videos, and stories on social media about their experiences buying and sharing a Coke. Social media is a great way to boost website traffic. Simply putting your website in your profile bio helps guide users to your site where they can learn more about your company or a specific product. Customers have little patience and lose interest quickly. By including the URL in your bio, you will avoid any confusion and keep things simple for your potential customers. Your campaign team can also respond to followers on social with URLs to specific landing pages on your website. Adding links to your website as part of a natural conversation or organic post is a great way to show them you are listening and boost website traffic. Lastly, you can just add a website or landing page URL to your actual post on social. You will increase website traffic by providing followers with links to the resources they need to answer their questions and concerns on their own. For example, many news stations across the country add URLs to their stories on social media. They are often seen posting an eye-catching image, video, quote, or statement along with a link to the actual story. This works well because it increases their website traffic. If followers don’t follow the link to the station’s website, they can always click “Like”, or “Share” if they still want to interact. Marketers want customers to get excited about their products and brand. When a business can do this successfully, they will most likely see an increase in sales. Social media campaigns are a great way to get people excited about new products because of the ability to share, use images, get the word out. One example of this was the Starbucks Unicorn Frappuccino campaign. Starbucks has been known to create special “secret menu” items, and these drinks have become increasingly popular to photograph, as they often make for fun Instagram and Twitter posts. The company took advantage of this and started selling the Unicorn Frappuccino — a bright, colorful drink that was only in stock for a limited time. Starbucks shared pictures of the Frappuccino all over social media and drummed up excitement around the drink. They also created a hashtag, #unicornfrappuccino, to encourage customers to share their experiences purchasing and drinking the beverage. The $5 drink was so popular with customers that during the single week it was available in April 2017, there were over 180,000 posts on social media that featured the drink. The drink also led to an increase in same-store sales for the second quarter by 3%, and same-store sales were up 4% in March 2017. 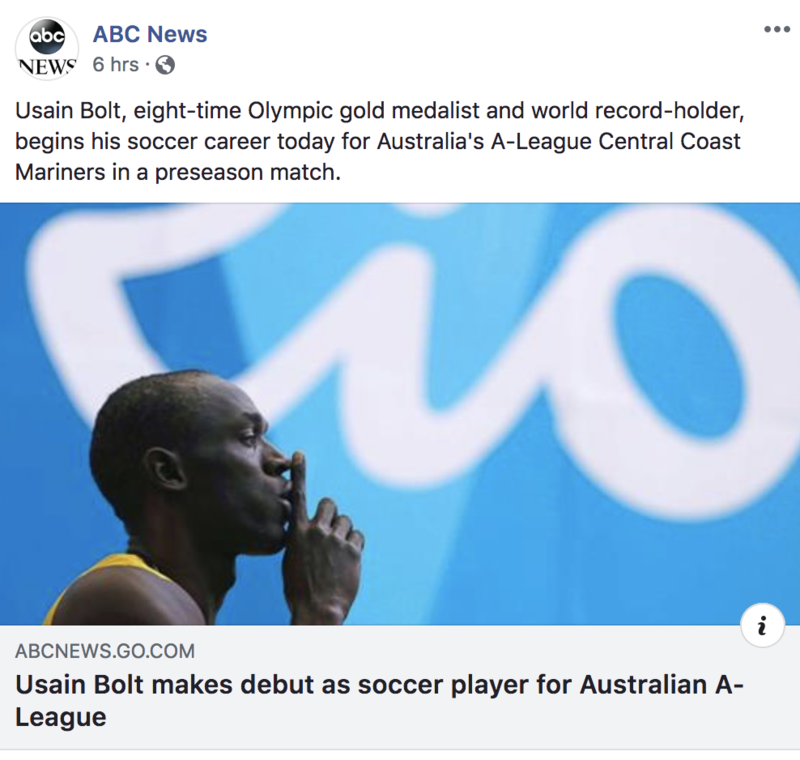 Now that we have reviewed some of the most successful social media marketing campaigns, let’s dive into the ways you can kick start your own. There are a number of ways to create a successful social media marketing campaign. Plans vary based on industry, social media platform, and campaign type. Use the following tips to create your own social media marketing campaign. In the planning stages of your social media marketing campaign, consider your competition. Which companies are similar to yours and already have successful social media accounts? Which companies have campaigns that you know did well? Do the companies you are reviewing typically conduct giveaways, contests, or live videos? What is engagement like on their social posts? By taking a step back and asking yourself these questions, you’ll start to understand what’s working well in your industry. You will also be able to determine how you can make your own campaign unique. Look for inspiration elsewhere, too. If your competition isn’t on social, you’re not a fan of their previous campaign style, or you have an exceptionally unique business, then look for other campaigns that inspire you and determine how you can apply elements such as a similar style, level of engagement, aesthetic, or a specific message to your own campaign. Next, craft your campaign strategy. To determine your campaign goal, first consider your target audience. 1. Appeal to your target audience. How would you classify your target audience? What are you hoping this campaign will achieve for your company and your audience? How can you create continued engagement with your followers throughout your campaign? Ensuring your content and messaging appeals to your target audience should always be your top priority. Remember this important rule throughout your social media marketing campaign. Don’t lose sight of who you are trying to connect with and why. Otherwise, your audience will likely scroll right by your social posts or lose interest in your campaign in a matter of seconds. What do people want to view these days? For example, Instagram stories and live streaming have become quite popular. Can you incorporate these trends into your social routine and campaign? Make your audience want to stop and listen. If you don’t have information worth their time, why would they check out your post or campaign? Provide your audience with an incentive — create a giveaway that requires your audience to read your description from start to finish. In addition, you should also tell them how to participate in the giveaway and when you will announce a winner. Create unique and compelling visual content. Whether it’s a video on Facebook or an edited picture on Instagram, make sure your visual content is compelling and entertaining. Give your audience something they haven’t seen before. After posting on social media, 84% of consumers expect companies to respond within 24-hours. If your followers leave questions, comments, or concerns on your posts, you should reach back out to them. You will form a personal bond with your audience that will make them more loyal to you and your brand. You will also earn their trust more efficiently. 2. Choose your content type and format. Consider which content type should be used on what platform. For example, if your campaign uses a lot of still photography, then maybe Instagram is the platform for you. If you require live streaming and longer form video, Facebook might be a good option, and if you want to release shorter bursts of information, Twitter could be a good fit. Think about what each platform is best for and go from there. No matter why you’re creating your campaign, you’ll probably be interested in knowing your campaign’s level of success.To make any conclusions about your success, you’ll need some type of metrics to measure and monitor throughout your campaign. A popular way to do this is through a metric tracker such as Google Analytics or HubSpot’s social monitoring and metric tracking tool. This type of concrete data will provide you with information like the amount of overall campaign traffic, how many new followers that you attract (as well as how many followers you lose), your level of engagement, changes in website traffic, and any change in sales. Now it’s time to start sharing your campaign and promoting your content. Consider the following techniques on how to promote and share your content. Promote one message throughout your campaign. You should start by promoting one message on multiple different platforms using content that fits the chosen platform. By consistently sharing the same message across your campaign, your followers will hear the same information over and over again, which will allow them to retain your message. In fact, marketing campaigns in the past have proven that messages are most effective when repeated. Repetition will result in familiarity, which will foster trust between your audience and your message, brand, and product. Redundant messages stick. Balance your promotional and non-promotional content. Your followers will notice if you’re constantly pushing promotional content on them. By balancing promotional and non-promotional, your followers will perceive you as being helpful and will want to engage with you more. This is about your followers not feeling pressured or pushed into becoming a customer. You will be most effective if you provide your followers with promotional content that is balanced out with content that they find helpful and engaging. Ensure your content is unique to your business. Create an aesthetic for your campaign that matches your brand. You want this to be unique — anyone that lands on your page should know that it’s yours without reading your profile handle. Being unique and authentic helps you stand out … it also gives people a reason to want to follow you over your competitors. Engage with your audience regularly. No matter how many followers you have, you should set aside a bit of time to answer questions, “like” comments, and respond to feedback. By taking the time to engage with your followers, you will give them a personal experience that they won’t forget. These are the types of relationships and experiences that keep followers invested in your brand. Create a unique hashtag for your campaign. All major social media campaigns have a hashtag that should be the same across your social platforms. Hashtags allow your team members to keep track of interactions and make it easy for your followers to engage with your campaign. Your hashtag should be unique and memorable. 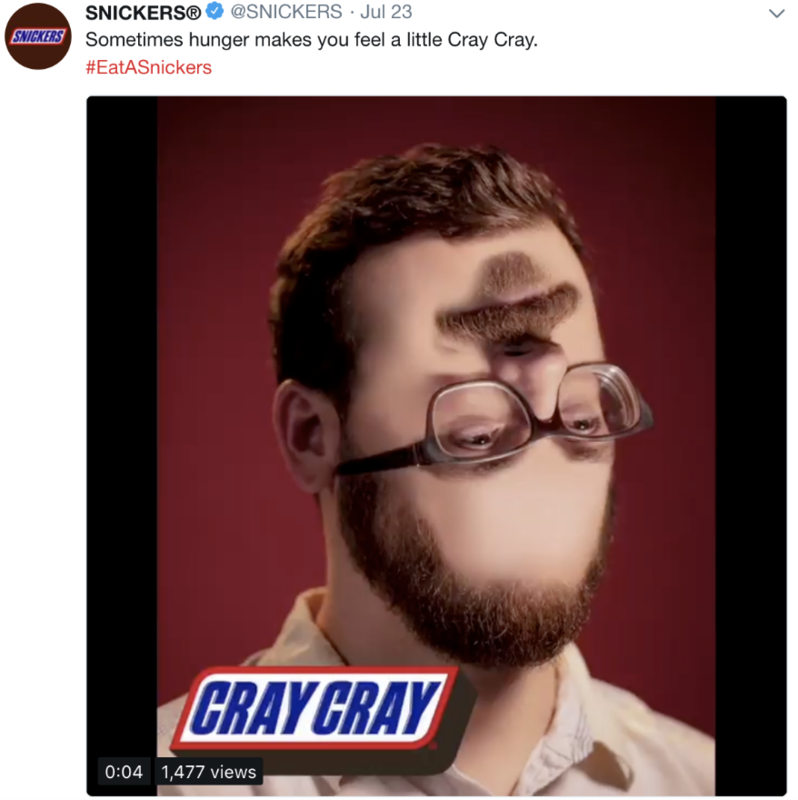 For example, Snickers has a popular social media campaign, “You’re Not You When You’re Hungry.” They depict people lashing out, losing their minds, and even turning into different people because they are “hangry” … or hungry-angry. These people go back to their normal selves once they eat a bite of a Snickers bar and satisfy their hunger. Their hashtag for the campaign is #EatASnickers. It’s straightforward, simple to remember, and action-oriented. Additionally, “Eat a Snickers” is also one of their ad taglines, which contributes to the uniformity across the campaign. Automate your content with scheduling software. Although creating engaging content and interacting with your followers may be time-consuming, there is a way to schedule your campaign posts ahead of time to save you from having to do it in real time. Tools such as Hootsuite, Crowdfire, and CoSchedule allow marketers to schedule posts with text, photos, videos, hashtags, and more. Some of these scheduling tools even contain analytics that help users determine which scheduled posts are doing well and which posts may need to be modified. Use live stream to your advantage. By 2021, live streaming is expected to become more than a $70 billion industry. With live streaming, audience members can watch content in real-time from anywhere around the world, which creates a unique and engaging experience. Facebook Live is one of the most popular ways to stream live content, followed by other platforms such as Twitter, Instagram, and YouTube. You can use live streaming to update followers on news as it happens, conduct giveaways and contests, interview guests and influencers, or simply make followers feel personally connected to your brand. The way you promote your content is your decision, but don’t forget to test and analyze your results. This way, you will know if there are any immediate changes that can and should be modified while the campaign is live. You can also apply this information to future campaigns. Social media has taken the world by storm. Although some trends are changing, social media is here to stay. Social media marketing campaigns are a great option for businesses that want to remain relevant and promote their content in an effective and efficient way. With the possibility of significant reach, ability to directly engage with followers and customers, the ease of sharing your content with thousands (or even millions) of people, and the budget-friendly nature of the work, social media marketing campaigns are appealing to both businesses and consumers alike. Get started creating unique and engaging content for your social followers and make an impact that drives sales and gets people pumped about your brand.